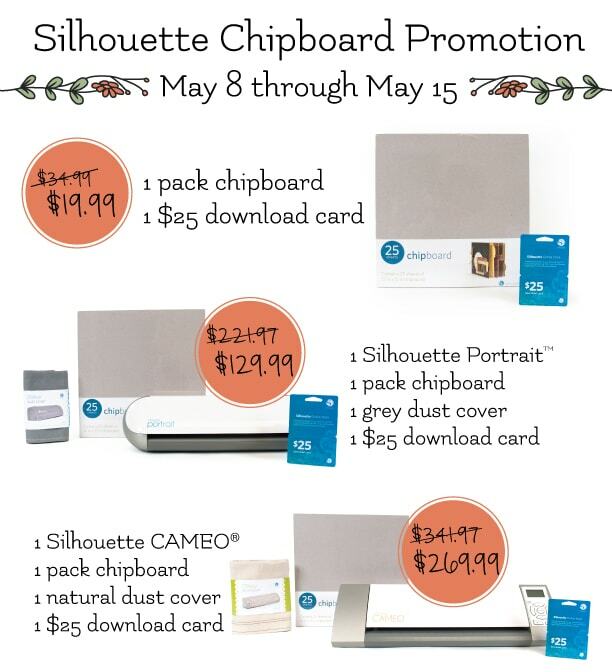 Did you know that Silhouette sells chipboard? 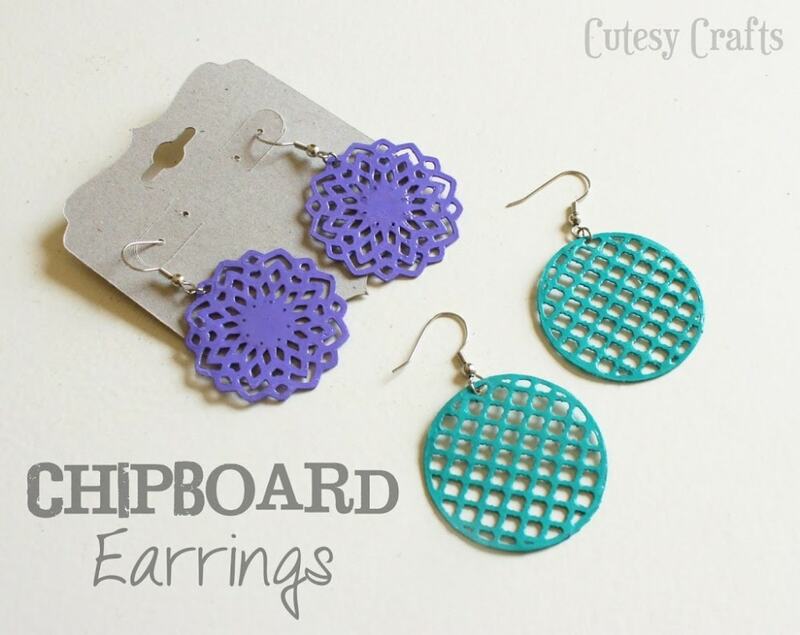 What is chipboard, you ask? It’s a very lightweight cardboard that you can use to make boxes, tags, cards, etc. 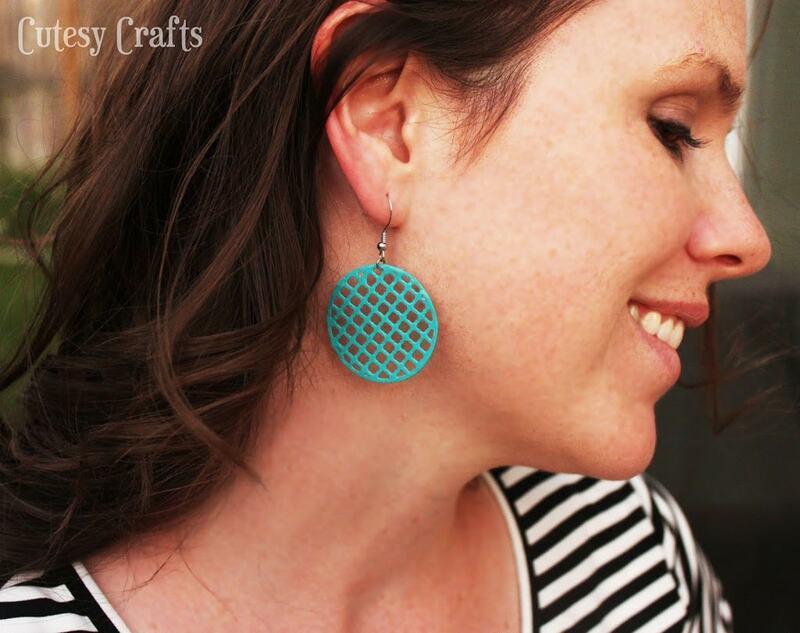 I decided to think outside of the box (wink wink… get it… because I’m not making a box) and make earrings out of the chipboard! You read that right, these are made of chipboard! Evan my husband was amazed when he saw what I made them out of. To get the special prices, click this link here that will take you to the special page for the promotion and use code CUTESY at checkout. Promotion ends May 15th. Now on to the tutorial! 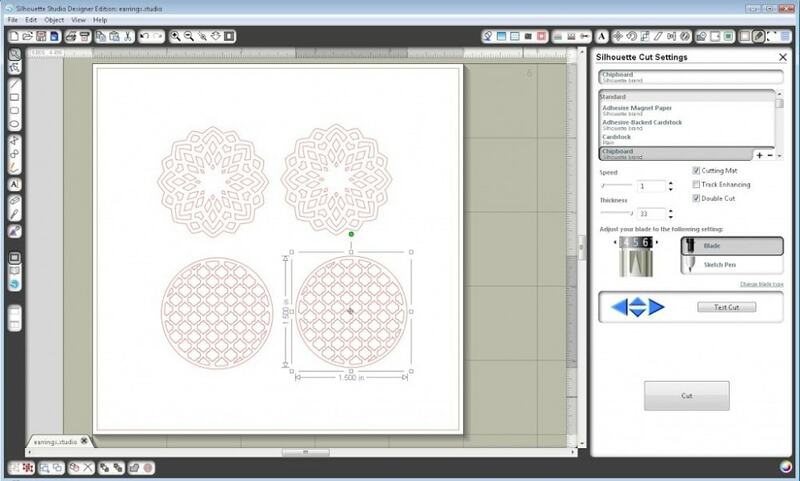 Open up the shapes in Silhouette Studio and size them to 1.5 inches. You can, of course, make them bigger or smaller. 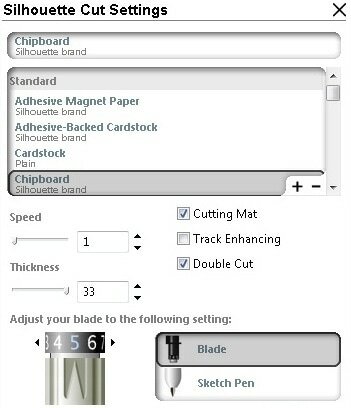 Change your cut settings to chipboard. Notice that this will make your machine do a double cut. I was a little worried that the small details wouldn’t come out, but the chipboard cut PERFECTLY! Look at that detail!!! 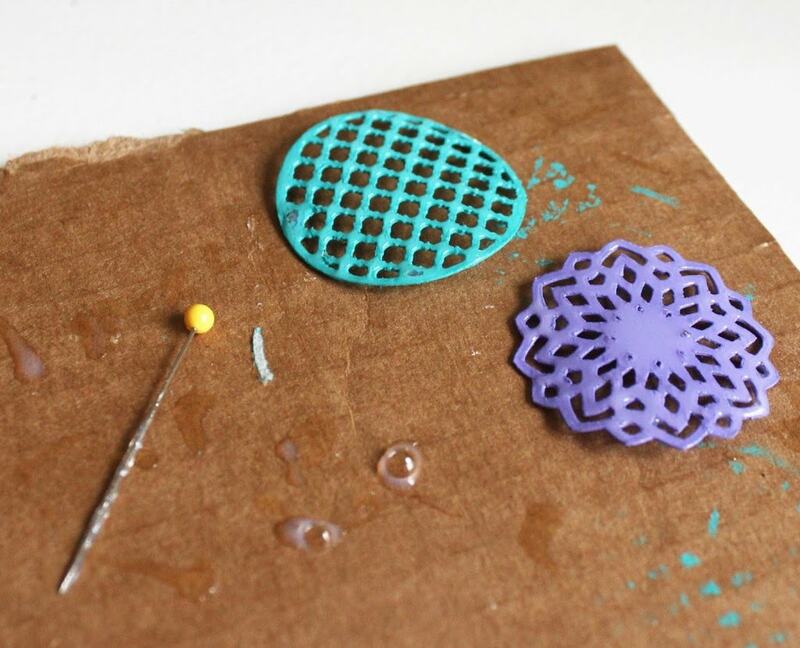 Put the pieces on a flat, sturdy surface that you don’t mind getting dirty. A piece of thick cardboard works great. 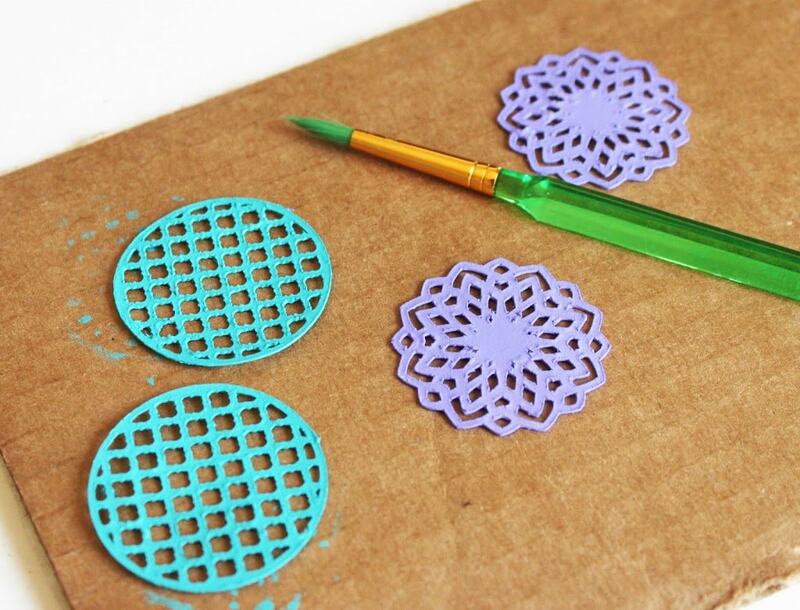 Coat both sides of your shapes with a couple layers of acrylic paint. Let the paint completely dry on one side before you flip it, and make sure to get all of the edges. After the paint is dry, the pieces will still be a bit flimsy. 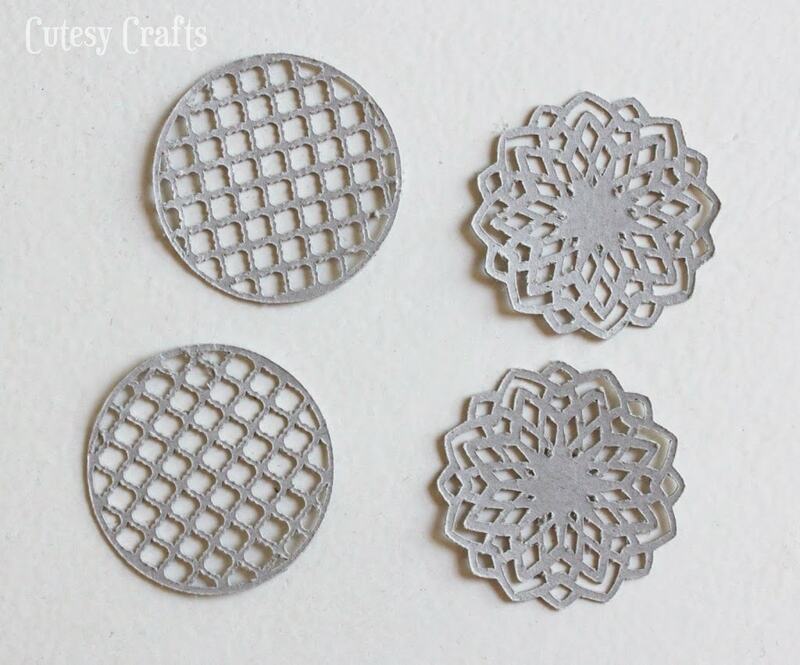 Flatten them out the best you can and apply a thin coat of Dimensional Magic. This will stiffen the shapes and give the a shiny, glass-like surface. Try your best not to get it in the cutout parts of the shape. If you get any of the Dimensional Magic in the cutout parts, take a pin and swirl it around in the middle to clear the area. You can also use the pin to pop any air bubbles. The shapes will start to curl up a bit, but don’t touch them. For me, they just flattened out on their own as they dried. 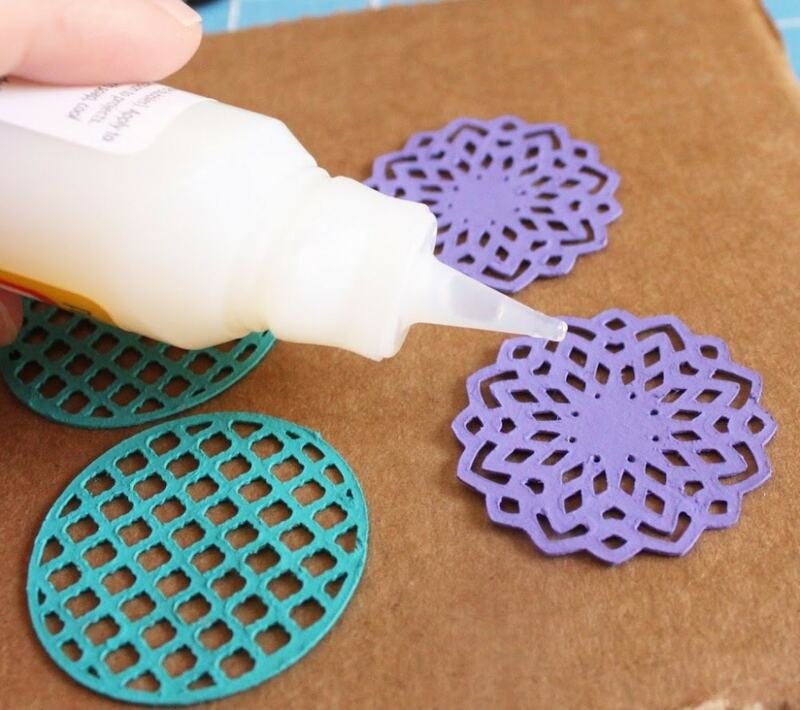 After one side is completely dry, turn the shape over and coat the other side with the Dimensional Magic. Wait for the second side to dry, add a couple jump rings and some earring hooks, and you are done! Use some more chipboard to make an earring holder and maybe a pretty box, and you’ve got a fun gift for a friend! Cutesy Crafts is an affiliate of Silhouette America and will recieve a comission if my promo code is used. As part of Silhouette’s promotion, I was given a free product to use. All opinions are my own. To read my full disclosures click here. This is so cute! I wish I had a Silhouette now! I love that they are totally customizable, what a clever idea! Thanks! I love my Cameo! Really cool looking earrings!customizing them is a definite plus! I LOOOOOOOVEEEEE it!!! it is totally pinned! I have a Link Party every Sunday to Wednesdays, It would be so great if you could join me if you’d like! Those are so adorable, hard to believe that they are made of paper (ish). Very cute! 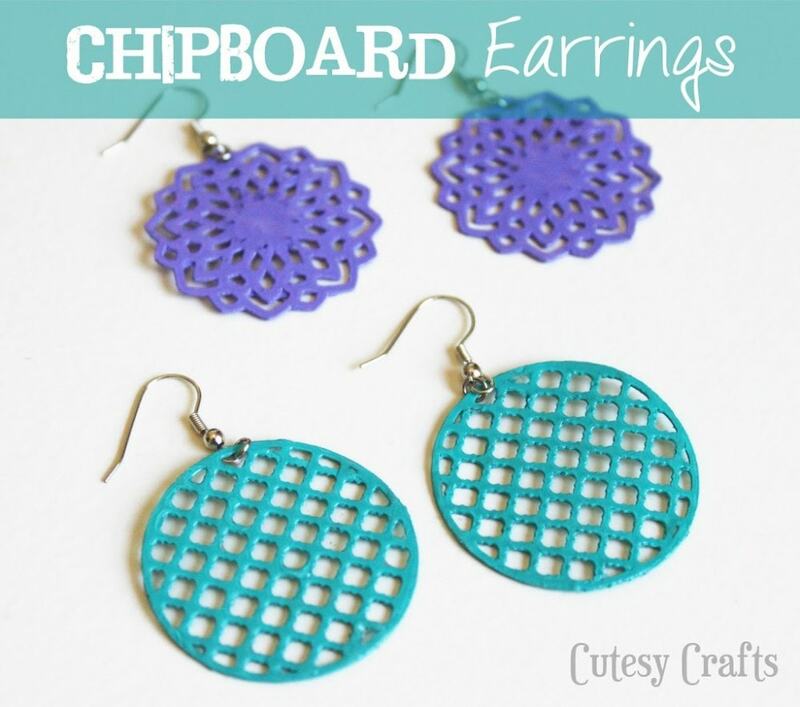 I am SO going to try to make some chipboard earrings soon (I had a pin for cardstock earrings…but this is SO much better, and I already have the cardstock. Score!). Thanks for the inspiration! Thanks Lauren. These were so fun to make! 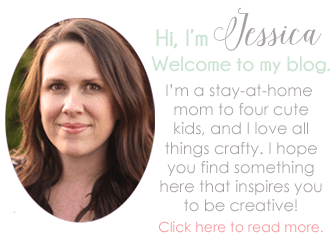 this is amazing jessica! i love it! !